READ THE FORUM THREAD ... "Final Vacant Campus Martius Spot Filled"
Developers and city officials plan to announce Wednesday [January 9, 2008] a $150 million entertainment, retail and apartment development in downtown Detroit. 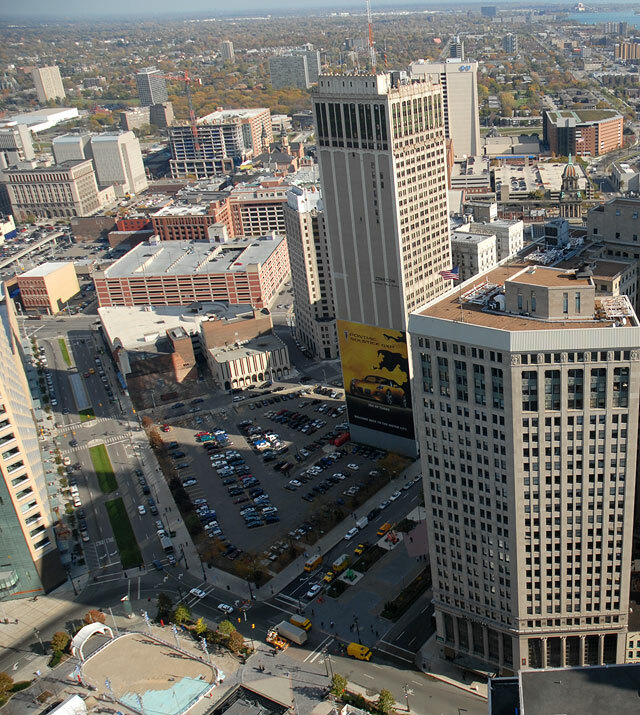 Cadillac Centre will be built near Monroe Street and Woodward Avenue, filing the last vacant parcel on Campus Martius. The project will be an investment by New York-based Northern Group Inc., which owns the Cadillac Tower and First National Building, both near the proposed development. Cadillac Tower will be connected to the development, with the two filling the two-acre site bound by Monroe, Farmer, Bates and Cadillac Square. 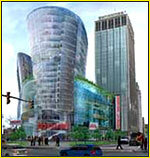 New York-based architect Anthony Caradonna, with the firm Opus Architecture and Design Studio, is the designer. The ambitious project is slated to include 84 apartments, a cinema, health club, 22,000 square feet of space for smaller boutique retail and a 100,000-square-foot space for a larger retailer. Plans also call for a 40,000-square-foot public park.